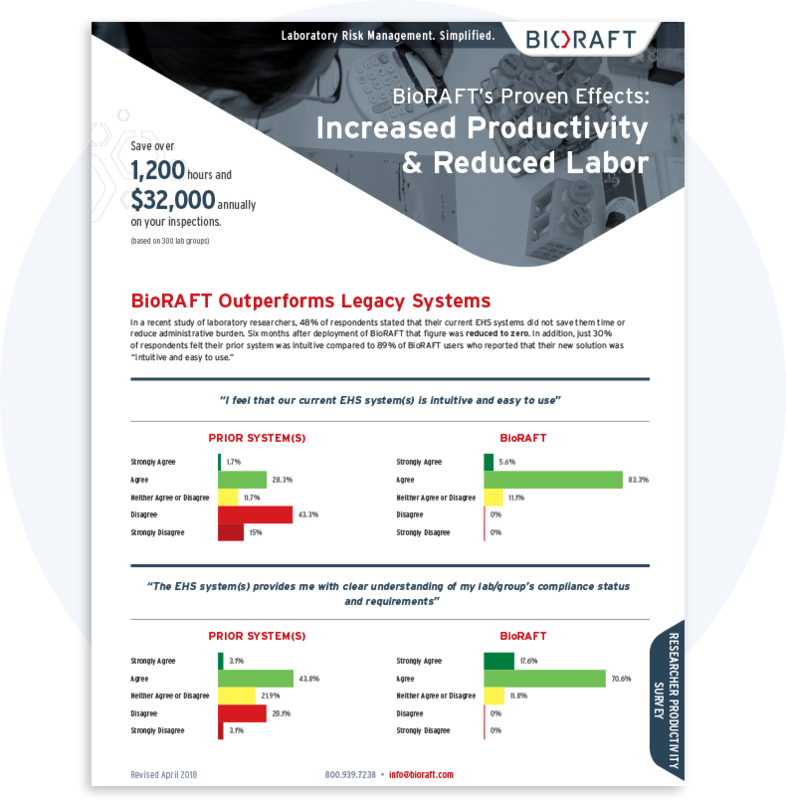 Created specifically for the research community, BioRAFT is an intuitive, scalable solution. The software collects, organizes, and displays a broad array of actionable real-time data to improve visibility, reduce risk, and increase productivity across research and EHS. View institution-wide safety information, automate time-consuming tasks, and mitigate risk using one comprehensive system. Quickly and easily track research activities at every location and identify potential risks using configurable, intuitive dashboards and reports. View lab compliance status, check inventory levels, and verify authorizations in an instant so you can get back to your research. Automate training based on associated hazards, inspect spaces, and maintain institution-wide chemical inventory and reporting. Increase Productivity. Accelerate Your Return On Investment. When it comes to research, speed wins. Researchers want to complete their health and safety tasks quickly and efficiently so they can spend more time on the research they love. Download the Researcher Productivity Survey to learn more. Our team of researchers and EHS professionals have years of experience solving critical challenges in laboratory risk management. Use industry best practices to offer ways to reduce risk, drive productivity, and simplify reporting. The BioRAFT platform provides a stable foundation on which your institution can grow. This platform approach reduces dependence on piecemeal systems and cumbersome manual methods, greatly improving the efficiency of scientists and safety teams. The BioRAFT platform evolves as we work collaboratively with customers to develop new functionality. When your institution’s needs grow, new capabilities can be gained by implementing additional modules. Confidently manage laboratory and shop safety training for the entire undergraduate student population and get them ready for their careers in research. Offer a comprehensive health and safety training program with user-specific assignments, automated requirements, and reminders. Manage chemical inventory with a robust chemical database. 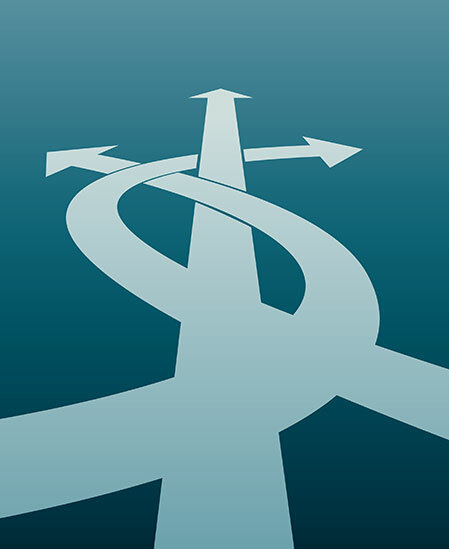 Easily generate complex regulatory reports. Streamline the Biosafety registration process, from project and materials submission to committee review, for all parties involved. 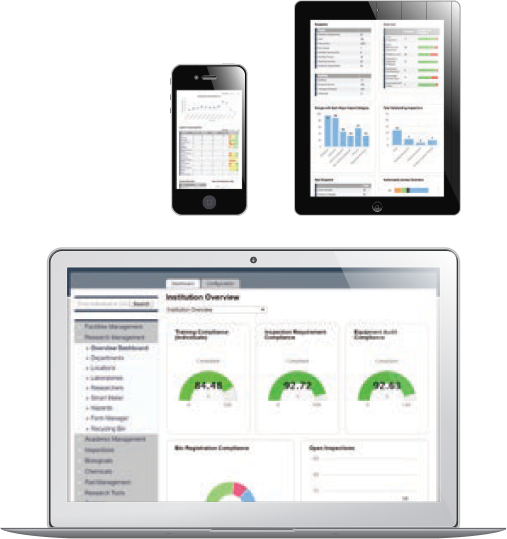 Assign, conduct, and review inspections and self inspections based on hazard and risk criteria, which drives real-time data analysis dashboards. Allow for streamlined waste pickup requests process, from the lab to health and safety, while retaining lab-specific data. Track and manage your institution’s research equipment and assets, including users, locations, certifications, and more. Manage a complete radioisotope use program, from broad scope license limits to authorized user registrations, and cradle to grave reporting. Identify, review, and track users that are potentially exposed to animal allergens, as well as survey for their exposure levels and potential health impacts. Search and view a comprehensive SDS database library of over 1 million unique Safety Data Sheets. Sign up to learn more about best practices for increasing researcher productivity, improving laboratory safety, and reducing organizational risk.